Normandeau provides environmental consulting services to the power plant industry, including siting studies, federal and state environmental impact statements and permitting, compliance monitoring including Clean Water Act (CWA) Section 316 (a) and (b) studies, and evaluation of changes in regulatory requirements. To see a complete list of our Environmental Permitting & Regulatory Compliance services, click here. To see a complete list of our Marine & Freshwater Sciences services, click here. To see a complete list of our Wetlands & Landscape Ecological services, click here. To see a complete list of our Remote Sensing & Data Visualization services, click here. Over 45 years’ experience with permitting and compliance monitoring for nuclear power stations, fossil fuel plants and industrial facilities throughout the US. CWA 316(a) Thermal and dilution plume surveys of cooling water discharges. CWA 316(b) Impingement and entrainment surveys for cooling water intake structures. Biological studies in almost every major watershed in the US including most of the nation’s coastlines, major rivers and estuaries, and long-term monitoring studies in New England, the Hudson River, the Great Lakes, the mid-Atlantic, and the Southeast. Senior regulatory specialists include a former EPA Region Administrator and two former US Army Corps of Engineers District Commanders, experienced in successfully navigating complex state and federal permit processes. Our highly qualified scientists have worked together for longer than 25 years, providing high-caliber technical capabilities. Capacity to quickly mobilize and deploy multiple field crews to fit the needs of the project. Extensive in-house staff expertise with rare, threatened and endangered species including freshwater mussels, sturgeon, and other species. The largest specialized biological laboratory facilities for processing freshwater and marine entrainment samples. Innovative and state-of-the art sampling methods and laboratory procedures provide accurate impact data on proposed Best Technology Available (BTA), and recognized industry leadership in QA/QC provides utilities and industry with accurate data for demonstrating BTA with reductions in impingement mortality and entrainment abundance. Expert witnesses and peer reviewers for utilities, and public and private developers. 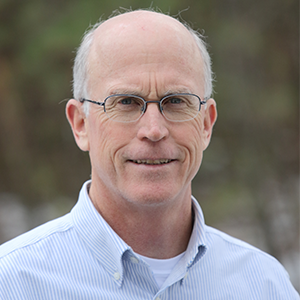 Mr. Geoghegan has over 35 years of experience in environmental monitoring, fish population dynamics, and evaluation of fish conservation strategies at power plants. He specializes in assessing and mitigating the environmental impacts of marine development and impingement and entrainment at power plants. He has worked in fish communities ranging from the cold water salmonid fisheries of northern New England to the demersal fish of the Gulf of Mexico. In addition, he is experienced in quantitative habitat assessment and biostatistics.